that all animals deserve a chance for a full and happy life. by making a one-time gift for a specific purpose. Select the category you want in the drop down box. Use the Message to Rustic Hollow option on Paypal for any memorial information or other comments. 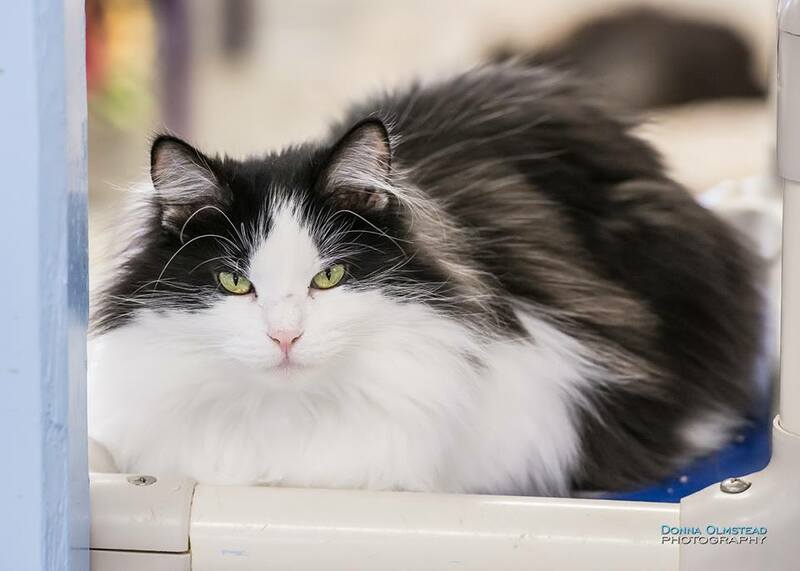 Sponsor a feline for $40 a month for one cat or $90 for three cats. Your sponsorships helps with the daily care and feeding and any medical needs of those felines. You will receive updates several times a year and pictures of your ‘adoptee’. If you cannot have an animal in your home, what better way than to help a kitty through sponsoring one at C&W. 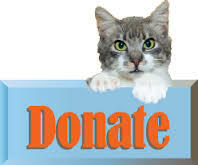 IF you are paying only a portion of a sponsorship, please use the DONATE button and enter the name of the animal and the number of months you are paying in the Paypal MORE INFO box. Precious has a sponsor who gave him a chance at a lifetime home at Rustic Hollow. Your Membership shows your ongoing commitment to C&W and brings you our print newsletter “Shelter Tails & Mews” four to five times a year along with other mailings. Annual membership is only $25 individual; $35 family; and your pet(s) membership is only $5.00! However, the membership will NOT include fancy t-shirts or other give-a-ways that many large organizations send you for joining. Instead, more than HALF of your membership will go directly to the care and feeding and medical needs of the cats and dogs rescued and cared for by C&W. To receive our newsletter, we ask you to join us as members in a mission for the animals so we may continue to share the ‘good news’ and ‘happenings’ at C & W and to continue to grow and help more animals. VOLUNTEERS ARE ALWAYS NEEDED to help with direct care and feeding (and scooping litter boxes) for the animals; petting and socialization; carpentry and repair of shelter buildings; newsletter writing, photography, landscaping and much more! Come spend a day, a weekend, or a week at our special needs sanctuary and get to know the animals and share in their day-to-day fun and games in our six sanctuary buildings. The felines will love your company and will entertain you well. Ask about overnight accommodations. Sign up here and someone will contact you. WISH LIST from our Furbies! PILLOWS - Fluffy Animal pillows for the cats to sleep on. They absolutely love and adore these. Cat beds of all sizes. CAT TOYS & treats-LOTS of them. GIFT CARDS for PETCO, Petsmart, other large chain discount or pet stores. ﻿SHOP ON AMAZON SMILE & your purchases raise money for the furs. Go to AmazonSmile.com and our wish list is under C&WS RUSTIC HOLLOW SHELTER, INC. Always use Amazonsmile.com for your purchases too and money will be donated to us if you choose our charity. Treats of just about any kind for our hard working staff. They like to be recognized and I love to see them get thank you's from supporters. From chips to nuts to candybars or home baked items, remember our staff too. They are the life blood of our organization and their daily care of the cats is excellent. Be sure to watch for our online auctions at Bidding for Good.com. 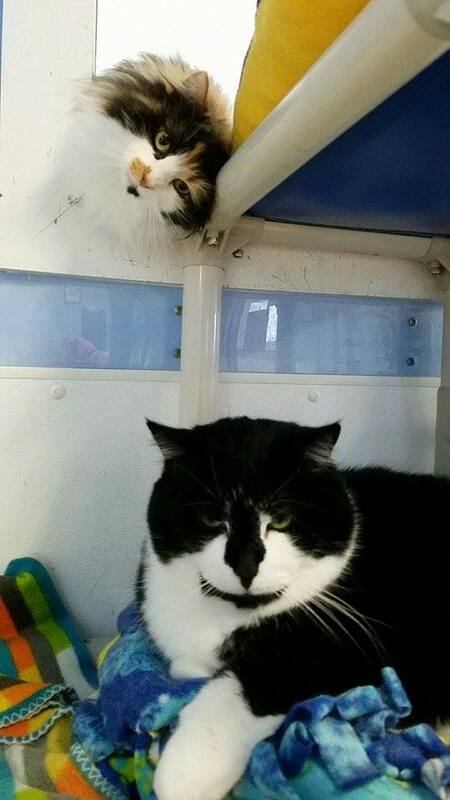 We do at least three a year and your bids truly help us keep the felines in food, litter and care. which are held three times a year at Bidding for Good. Here is a list of items we need. Please let us know if you have any items to donate to our Spring 2019 auction which will be held in April. These need to be in good condition and not so large they can’t be mailed. HAND CRAFTED ITEMS, i.e. Quilts, Greeting Cards, Hand painted, etc. overnight or weekend packages at hotels/motels/ etc. ; Amazon gift certificates; Visa/mastercard, Petco gift cards, etc. C & W Rustic Hollow’s Facebook page AND our website Tell all your friends to join us and help a special needs animal. from Jewel & MooMoo & the Rustic Hollow gang!